Redemption in the Air as Record-Breaking 1,300 Jews Ascend Temple Mount on Ninth of Av - Breaking Israel News | Latest News. Biblical Perspective. On Tuesday, the holiday of the Ninth of Av, a record-breaking 1,300 Jews ascended to the Temple Mount, turning a day of deepest mourning for the destruction of the Temples into a catalyst to bring the beginnings of the Third Temple. 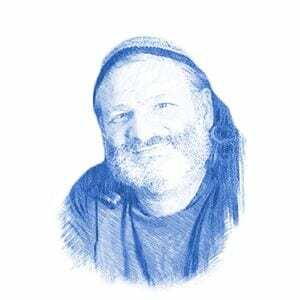 “I know that if there had been an announcement on the radio to go up and build, thousands more Jews were ready for that,” Rabbi Yisrael Ariel, the Chief Rabbi of Hebron told Breaking Israel News of the awe-filled atmosphere on the Mount. Rabbi Ariel, an iconic figure in the Temple Mount movement who fought alongside the IDF paratroopers when they conquered the holy site in 1967, was overcome with emotion when he ascended alongside over a thousand fellow Jews on the Ninth of Av – an event unknown for a millennium, he said. “The holy site hasn’t seen so many Jews gathering together on Tisha B’av since the Second Temple was destroyed precisely 1,947 years ago,” he asserted. Indeed, while the past few years have seen a steady rise in the number of Jews who ascend to the Temple Mount on the Ninth of Av, this year broke all records. In a Facebook post, MK Yehudah Glick wrote that in 2014, 150 Jews ascended. That number doubled each of the next two years, with 2016 seeing 400 Jews on the Mount. This year, the rise was exponential. But it was not just the number of Jews that impressed Rabbi Ariel with potential for geula (redemption). Rabbi Ariel saw a Biblical precedent in the nature of the gathering in that many of those ascending the Temple Mount were young, indicating a massive growing interest burgeoning in the next generation of Jewish leaders. Though the laws of the Ninth of Av, or Tisha B’Av in Hebrew, require solemnity, Rabbi Ariel was nonetheless overcome with joy at what he saw. “A person who merits seeing the beginnings of the Third Temple, God will put joy into his heart, and that is what I felt when I saw the crowds of young people on the Temple Mount,” Rabbi Ariel explained, citing Psalms. There is no doubt that Jewish interest in the Temple Mount has been rising. The Jerusalem Post reported that during the last Hebrew calendar year, 14,908 Jews visited the site, an increase of 15 percent from the previous year. This year, despite restrictions on Jewish visitation to the site, almost 18,500 Jews have ascended to the Temple Mount so far, an increase of almost 25 percent. Rabbi Ariel explained that as the geula approaches, opposition to its coming will necessarily increase. Current events certainly seem to reflect this spiritual principle. During the recent two-week Muslim boycott of the Temple Mount, Jews were allowed to visit their holy site without antagonistic Waqf (Muslim authority) supervision. But the Temple Mount was besieged by rioting Muslim crowds filling the Old City around it. The rabbi explained that as Israel moves towards building the Temple, present-day anti-Zionists take on the role of the Biblical enemies of Israel who opposed the Israelites’ return from Egypt. One such enemy is Jordan which, already at odds over an incident at the Israeli Embassy in Amman, criticized the record Jewish presence at the site on Tisha B’av. Ayman Safadi, the Jordanian Foreign Minister, addressed an Islamic gathering convened on Tuesday in Istanbul which addressed the Temple Mount situation. Safadi described the somber crowds mourning the destruction of the Temple as “extremists who stormed Al-Aqsa”. 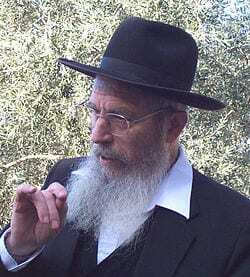 However, Rabbi Ariel noted that much of the opposition to the Third Temple comes from within the Jewish People. The experience of perceiving the beginnings of redemption in the crowds was clear to laymen as well. Joshua Wander, a resident of the Mount of Olives, also went up to the Temple Mount during Tisha B’Av and felt the joy described by Rabbi Ariel. Wander compared it to the beginnings of the modern State of Israel.